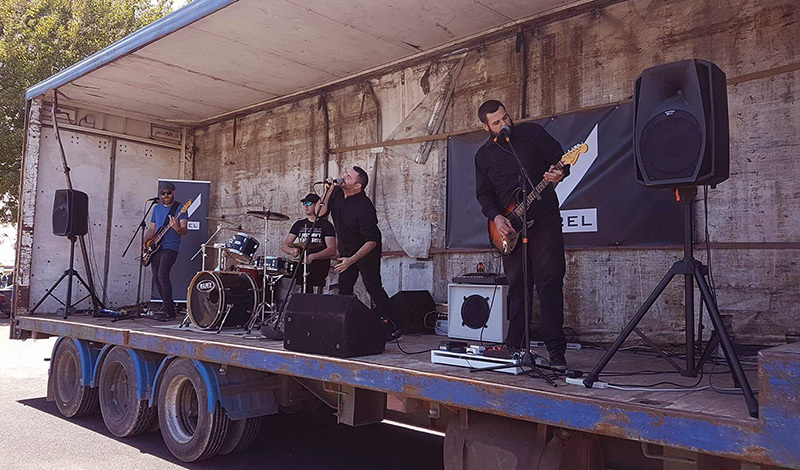 Well you haven’t cut your teeth as a band until you’ve played on the back of a truck, and the inaugural ‘Wheels in Wanganui’ event held at the Wanganui Racecourse was our chance to do just that! We were really happy to be involved with such a great event to help raise money for some really worth causes. There was a good turn out of families that attended the event and a few even sat to watch us with their hotdogs and chips. So another box ticked in being a family friendly rock outfit! Great day all round.